Stonehill College wanted to construct a significant electricity-generating solar PV system, but was limited by the capital outlay of such a large installation. Another challenge the College faced with this project was gaining approval from the utility company to allow a massive behind-the-meter solar project while crossing a public road which the utility argued infringed on its franchise right. Power Management Company (PMC) was able to provide a turn-key solution including finance, design, construction, operations and maintenance at a cost that was lower than Stonehill’s current electricity rate. PMC identified the optimal solar developer to design and install the project and financier that will own and maintain the system hosted by the college. The Power Management team also worked with both the utility and the Massachusetts Department of Public Utilities to gain approval to move forward. 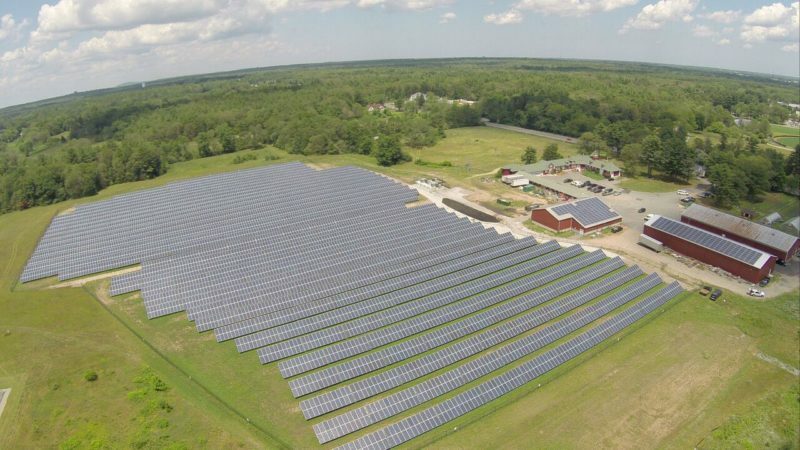 Stonehill College’s system will cover approximately 15 acres of land and is expected to generate approximately 2,700 megawatt hours (MWH) of electricity each year and will result in 2,363 fewer tons of carbon dioxide being emitted annually. The avoided emissions will be the equivalent of reducing the use of 243,556 gallons of gasoline each year.